A charter for tobacco harm reduction? 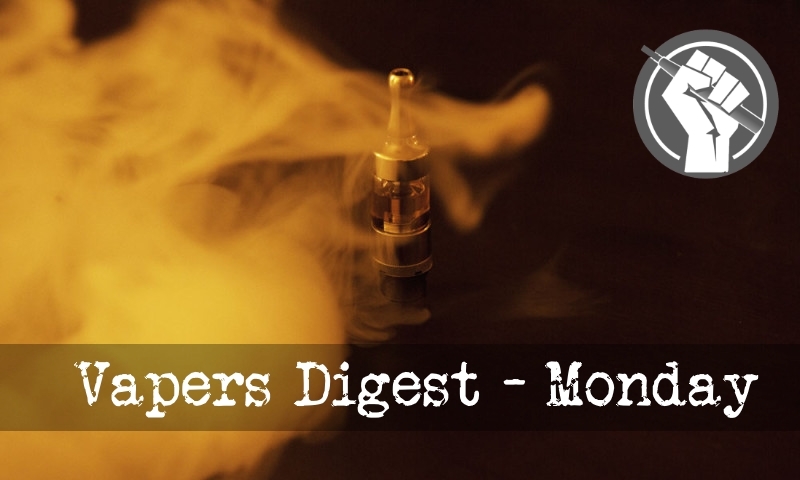 There was even more bad news for US vapers last week, as the FDA announced it would shortly publish new restrictions on where flavoured e-cigs can be sold. The agency also wants to make it more difficult to buy vapour products online. British vapers are also facing arbitrary bans, and advocates are currently fighting to scrap one in the Scottish city of Dundee. Meanwhile Florida is set to become the latest US state to add e-cigarettes to its clean air laws following the approval of a controversial amendment on Tuesday. In even more bad news, Thailand looks set to hang on to the draconian laws that have seen tourists fined at the country’s airports for trying to reduce smoking-related harm. If you missed it, Hold My Light is a multimedia campaign aimed at encouraging smokers to give up and switch to reduced-harm products. The number of cancer specialists, GPs and nurses currently ignorant about the benefits vaping offers is ridiculously high. Around half of those featuring in a recent survey claimed they didn’t know enough to recommend vaping to patients. The journey to becoming a doctor starts with the completion of chemistry, biology, and either physics, physical science or maths A-Levels. Then there’s five years of university study before embarking on two years of foundation training, two years of core medical training and then up to six years of speciality training. U.S.-focused tobacco stocks tumbled Monday following a Wall Street Journal report that suggested the Food & Drug Administration is prepared to ban the sale of menthol cigarettes alongside a crackdown on teenage vaping. FDA Commissioner Scott Gottlieb is set to close a loophole that has kept menthol cigarettes on the market for decades, the Journal reported, citing senior agency sources. Flavored tobacco products have long been the subject of controversy, especially with regards to their potential appeal to youth. In 2009, the federal government banned the manufacture and sale of all combustible cigarettes flavored to taste like clove, candy or fruit, but made an exception for menthol. The reason given for banning these products is that certain flavors could be especially attractive to children, luring them into smoking and serving as a gateway to lifelong cigarette addiction. New York’s Department of Health has rescinded regulations that sought to ban flavored e-cigarettes and liquids after industry insiders raised concerns over their legality. Status of Vaping in Thailand? Loose tobacco now costs 5-30 baht per pouch, well below the price of cigarettes at 60-100 baht per pack, said Patchara Anuntasilpa, director-general of the Excise Department. The retail price gap will widen from Jan 1, 2019, after a 40% tax is applied across the board, he said. The co-author of a major international review into e-cigarettes is set to tell an audience of Australian healthcare professionals that encouraging smokers to switch to vaping has great potential to improve their health. Reports of scientific research into e-cigarettes should be approached with caution – especially if they appear stridently either pro or anti – one of Britain’s leading researchers warns. “People should be wary about differences between headlines and the text of articles, and suspicious of any claims that state that things have been proven,” suggests Robert West, an addiction and smoking cessation specialist who is professor of health psychology and director of tobacco studies at University College London (UCL).